I love polka dots! Paired with a pair of Jean Latie pumps equals perfection! 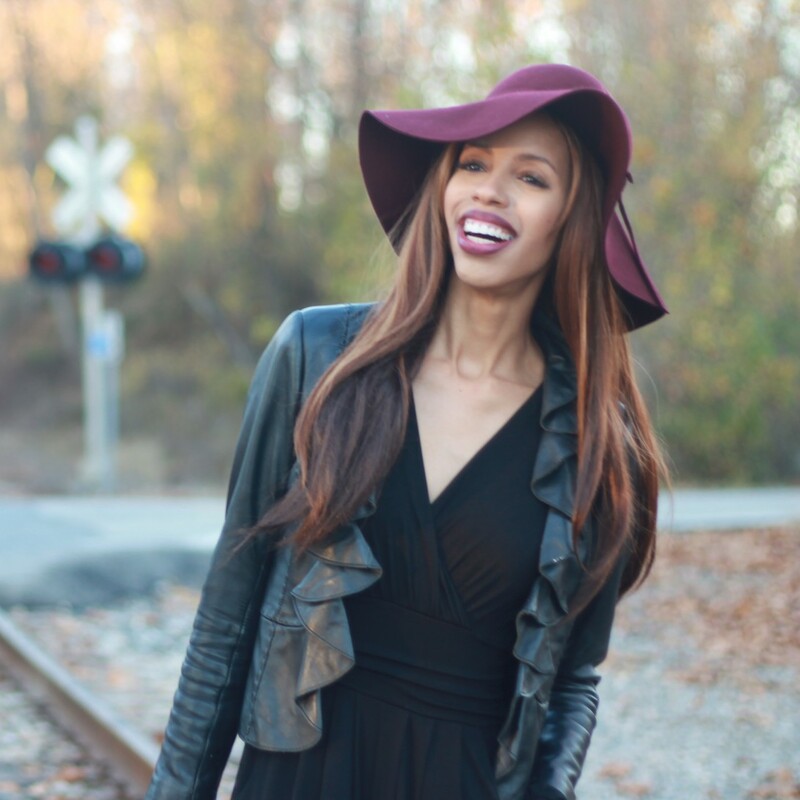 I love being an ambassador for ShoeDazzle and having the opportunity to review their products. 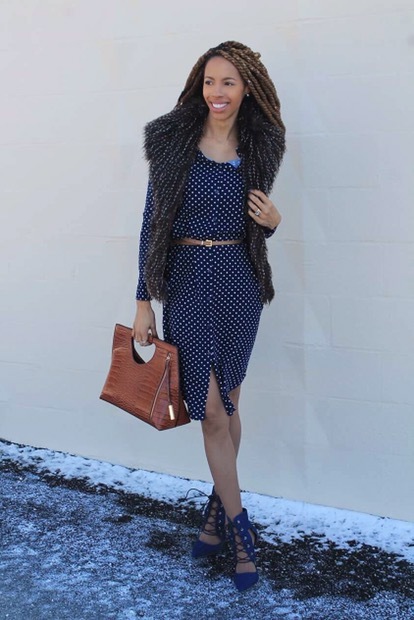 This dress is chic and comfortable, not warm though which I added a fur vest. I love the versatility of this dress, which can also be worn in the spring and summer by adjusting the sleeves. Want your own? See links below! 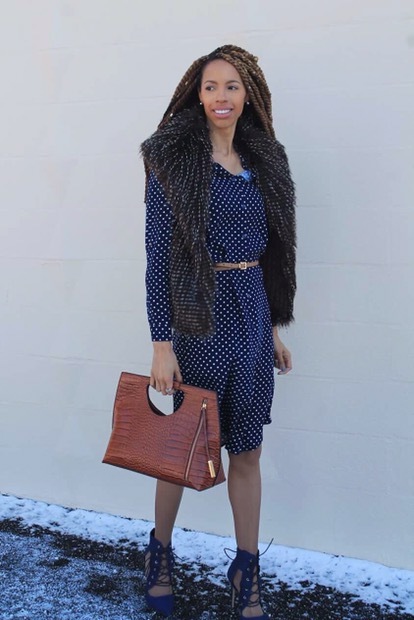 Midi Shirt Dress & Latie shoes & purse at ShoeDazzle. I also love polka dots, but what I love more is a shirt dress. They are so easy and don’t require a lot of thought yet they are fab. Yes hunny! You did that! I love this outfit! 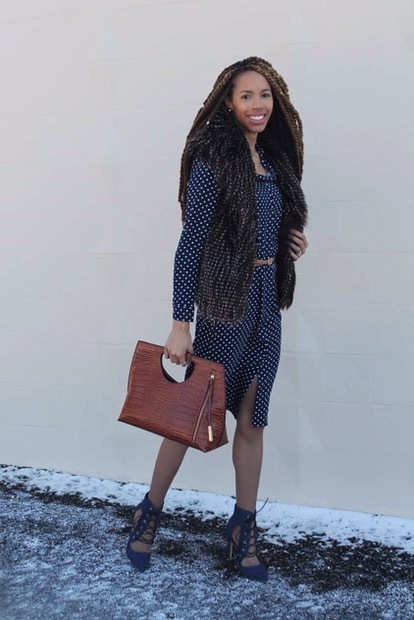 It’s always the accessorizing that makes and outfit and I love how you belted this one! Polka dots give me life! 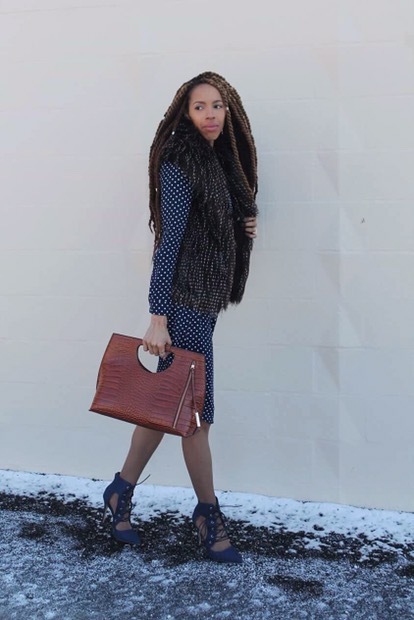 I have a navy blue bodycon dress that is polka dot. Cute look! Polka dots are cute. But this purse is everything! I’ve never tried shoedazzle. I’m afraid it might reignite my addiction. Lol! Yasssss you are working those polka dots. I love patterns. I like how you paired it with a solid blue shoe. The vest adds a nice touch as well. I think I may try this look. The shoes look great! Loving the color and the vest topped the entire outfit off. Very cute outfit. I really like that bag nd vest. I like this outfit. I may have to snag me a few polka dot prints. CUTEE!! 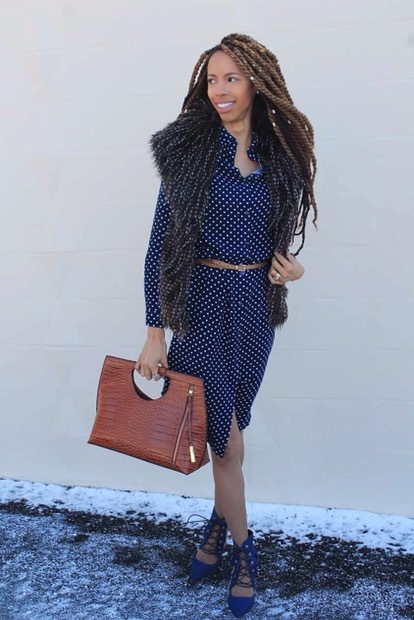 Polka dots are such a classic and sophisticated look. You worked it! 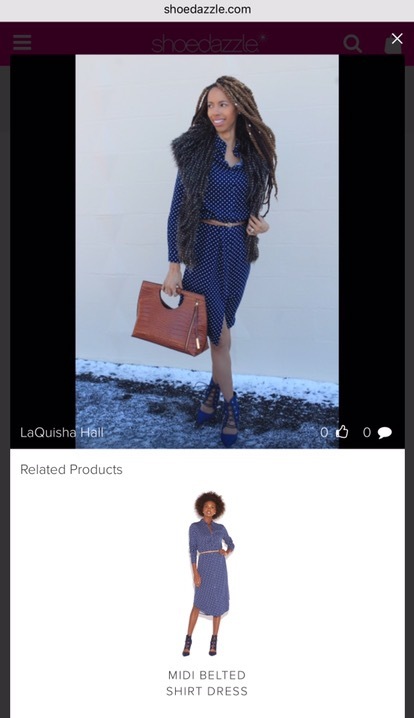 This entry was posted on February 6, 2017 by LaQuisha Hall in All Dressed Up, Casual Wear, Dresses, Natural Hair Flair, OOTD, Shoe Dazzle.